Lemon Tree Hotels was founded in 2002 by Patu Keswani, a first generation Indian entrepreneur. 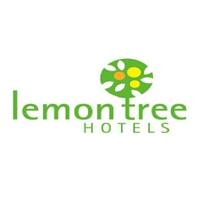 The first Lemon Tree Hotel opened in 2004 in Udyog Vihar, Gurgaon. Red Fox Hotels were promoted in 2006 and the first Red Fox hotel opened in 2009 in Jaipur. The Lemon Tree Premier brand was launched in 2010 with the opening of its first hotel in Bangalore.